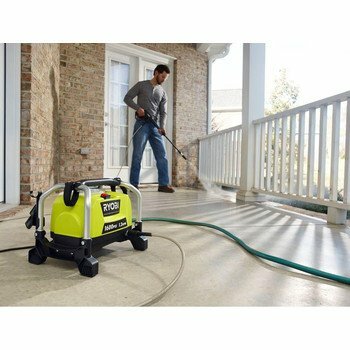 Of the few top-notch cleaning tools brands on the market today, Ryobi pressure washer models have earned the reputation of being strong, reliable and sturdy. And although these units are known to be a little more expensive than the rest, it turns out that they come with a good number of superior features that justify the cost. So how exactly do you go about finding the best of them all? Here is a head-to-head comparison of the three top models from Ryobi. The RY14122 is fortified with a powerful 13 amp electric motor that has a potential to deliver a maximum of 1700 psi. This is enough pressure to leave your decks and windows sparkling clean. But besides that, this machine is enhanced with a durable and compact roll-cage frame which is designed to handle all the pressure released. 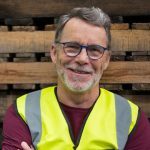 And that’s not to forget the on-board detergent tank which offers effective cleaning by eliminating the need to drag a hose and bucket throughout the area that is being cleaned. 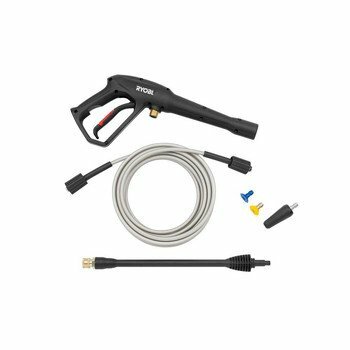 A bonus turbo powered nozzle is also provided to handle all the tough jobs where an ordinary 15-inch nozzle or soap nozzle may not deliver maximum cleaning results. Backed by 3-year long limited warranty cover. The product is well designed and capable of delivering great results for years to come. Comes with a host of additional attachments and nozzles that are quick to connect. Its hose, a 25 ft non-marring high-pressure accessory, is reliable enough to leave no stone unturned in every cleaning job. It has a maintenance-free aluminum pump for easy upkeep. And the icing on the cake is that this powerful washer comes with a 30-day risk-free guarantee. 4 times more powerful than a garden hose. Strongly built to offer many years of service. Convenient to use thanks to onboard storage and tank. This may not be your best bet for cleaning a weathered wood deck. It is a light duty machine; best suited for cleaning cars and dirty bikes. 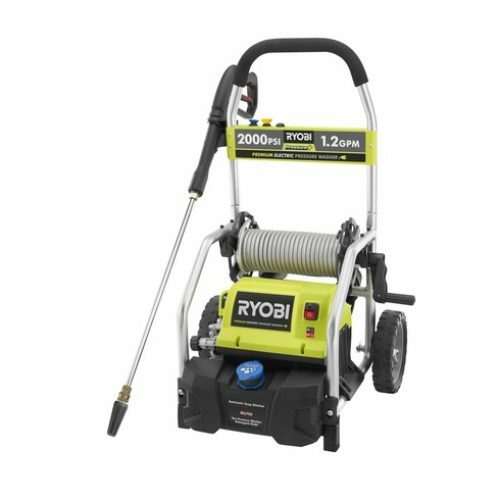 Engineered for tough jobs thanks to its 13 amp electric motor and futuristic pressure technology, the RY141900 pressure washer is one of the most sough-after models. It delivers a whopping 2,000 psi worth of pressure in one blow making it suitable for tough household jobs. But how does it handle all this pressure? Well, it is solidly built with a durable roll cage frame which holds it firmly together. Best of all, it comes with a removable detergent tank making it easy to apply soap and clean it up. 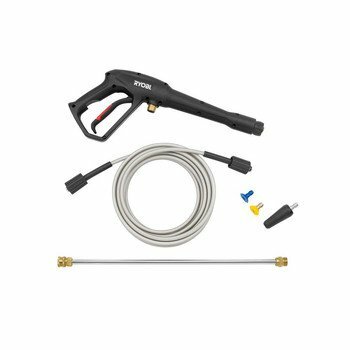 Yet another feature that makes this one of the most outstanding brands is a sturdy metal spray wand which is built with a coupler that is easy to connect/ change when necessary. Comes with an additional Turbo Nozzle that has a potential to deliver over 50% more cleaning power. This product is adequately backed by a 3-year limited warranty guaranteeing you of the best value for money. Has a 25 feet long non-marring pressure hose that performs incredibly well on all outdoor tasks. Powerful and suitable for moderately tough jobs. Has a great engine that does not malfunction easily. Its incredible design makes it easy to store. You have to unscrew the hose from the wand, the machine and then clip it on the reel on to roll it up. Quite cumbersome. 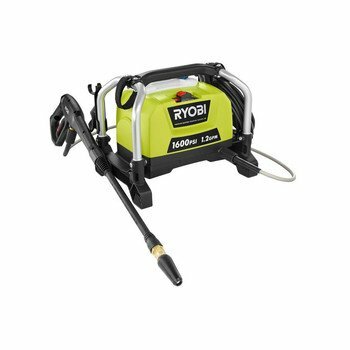 One thing that stands out about Ryobi RY141600 is its compactness and lightweight. The relatively simple machine weighs a paltry 20 pounds measuring 15 inch by 14 inch by 13 inch only. As such it is extremely easy to store and even move around. Despite its small size, it is still a powerful machine. It actually comes with a powerful 13 amp electric motor that delivers an incredible 1600 psi worth of pressure. Comes with a rugged roll-cage frame that is designed to protect the motor housing and stay upright. 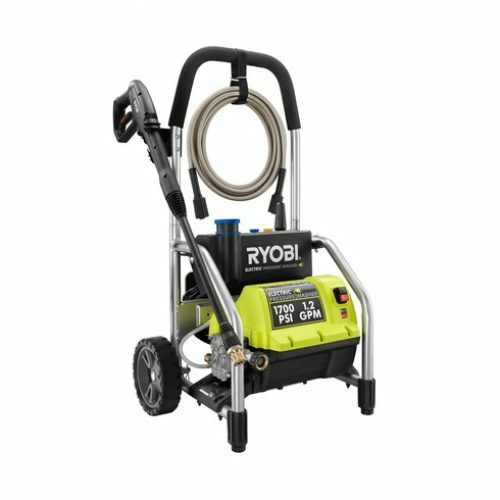 This Ryobi pressure washer has an on-board detergent tank that eliminates the need to drag a hose and bucket on every move. This tank is also easy to clean. Equipped with onboard accessory storage and an additional Turbo Nozzle with 50% more cleaning power. Backed by a 3-year limited warranty and 30 days risk-free guarantee. Has a total of 3 nozzles i.e. turbo, soap and 15 degrees for cleaning different surfaces. Easy to assemble, set-up instructions are clear and to the point. Prolonged use may tax the wrist adding a few more convenience features would certainly be a good idea. In order to select the right machine, you first need to decide on the kind of work you’re going to need it for. If you are planning to clean very dirty surfaces then you will need a machine with over 2000 psi potential. If you are planning to clean a car, dirt bike or walls, then a medium pressure (psi) machine of between 1300psi and 1700psi may just be the right bet. Another factor to consider is the motor. You will find this described in watts or amps – suggesting the energy provided. For example anything in the range of 14 amp and 12 amp is considered adequate for basic household cleaning. However, there are higher powered motors which consume more energy but those ones are best suited for heavy commercial usage. Another aspect is that hoses come in a variety of lengths and connection types. The most common diameter is 1/4 inch for household use and 3/8 inch for professional contractors. In terms of hose material, you want to go for polyurethane material although plastic ones are the most common out-of-the-box options. All the three Ryobi pressure washer units reviewed have their merits and demerits. 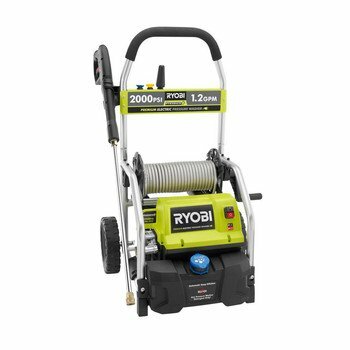 However, considering their strong points vs weak points it is rather easy to notice that Ryobi Electric Pressure Washer 2000 psi (RY141900) is significantly superior to the rest. It has more power and its pressure levels are suitable both for simple and semi-complex tasks. 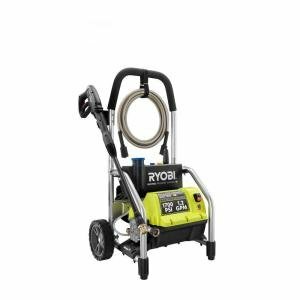 Ryobi Electric Pressure Washer 1.2-gpm 1600 psi (RY141600) comes in at number two while Ryobi Electric Pressure Washer 1700 psi (RY14122) ranks in number three.